Enjoy a magnificent ride meandering through the Kabeljouws nature reserve and look out for bird life, including flamingos, spoon bills and even fish eagles. 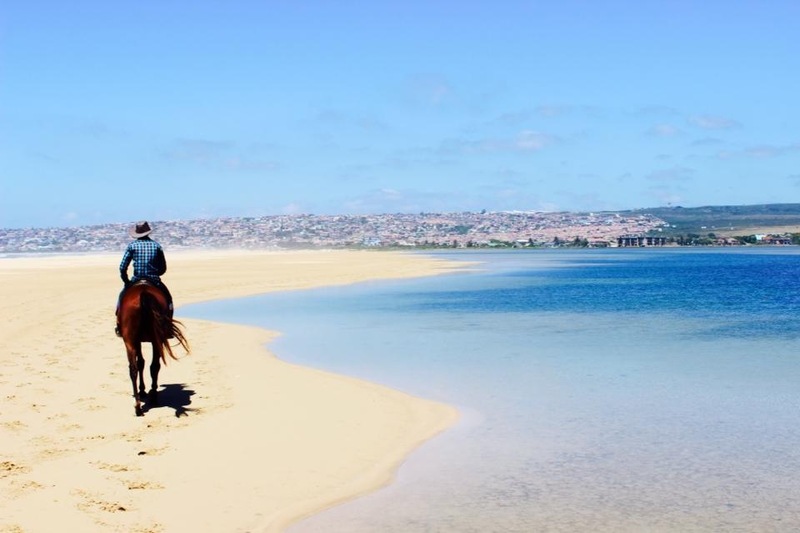 Pass through indigenous Fynbos, doing a river crossing and finally enjoying an exhilarating gallop around a quiet stretch of beach. Our guided trail is suitable for both advanced and intermediate riders, and we always put safety first. We provide safety helmets and our guides are well trained. Our horses are well schooled, weight carriers, and also suitable for children of all ages. Breeds available are mostly Frisian, as well as Shire and some Draft Horse Cross Breeds. Riders of all ages and experience levels are welcome.